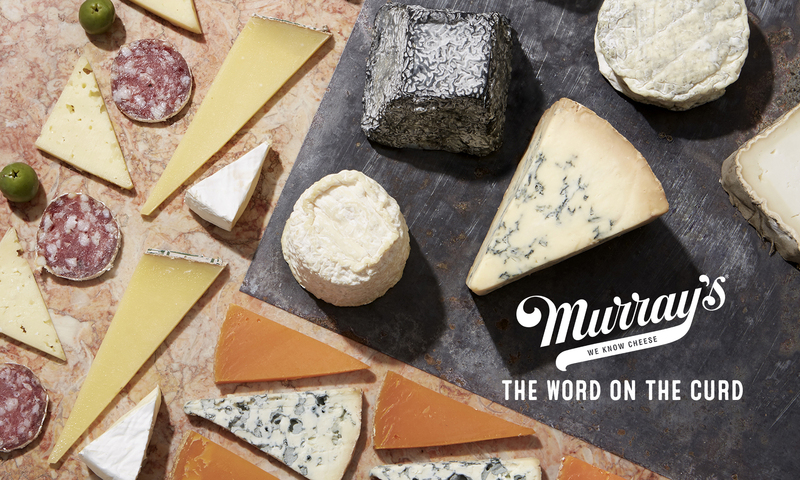 Murray’s has always stood by our creed: We Know Cheese. We’ve embraced it – as purveyors of the world’s best cheeses, guardians of Gruyere, champions of Cheddar, defenders of Delice de Bourgogne, we’ve brought you only the best. 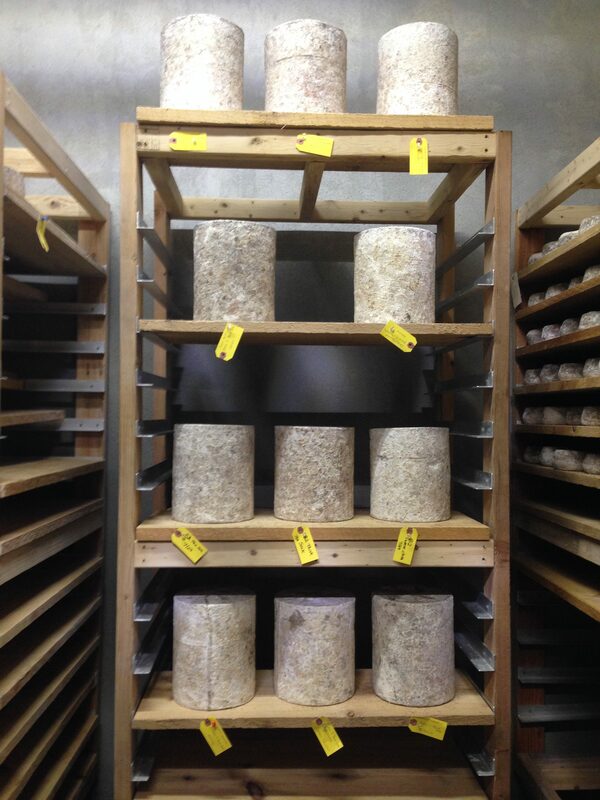 But while we’ve cultivated other people’s cheeses, aged some of the greats in our Caves, Murray’s hasn’t developed a cheese from scratch – until today! 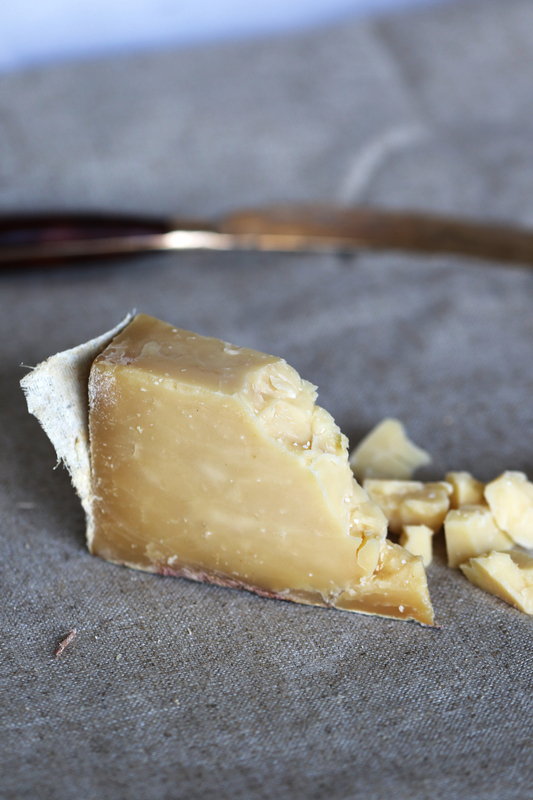 Meet Ezra; a Murray’s exclusive clothbound cheddar born and bred here in New York. After almost two years of R&D, Ezra is finally emerging from within our caves to make its first appearance in our shops. But let’s walk you through how Ezra came to be! Our Cavemaster PJ Jenkelunas and Sr VP Steve Millard got into a discussion around the spotty availability of a monger favorite Gabietou, and the idea of recreating this French washed-rind cheese was born. Matt Ranieri, who was consulting with Old Chatham Sheepherding Co.,and Dave Galton (who co-owns Old Chatham with his wife Sally) agreed to help Murray’s in the R&D of Gabietou and to help provide the milk. The cheese would be made at the dairy incubator at New York’s Cornell University. 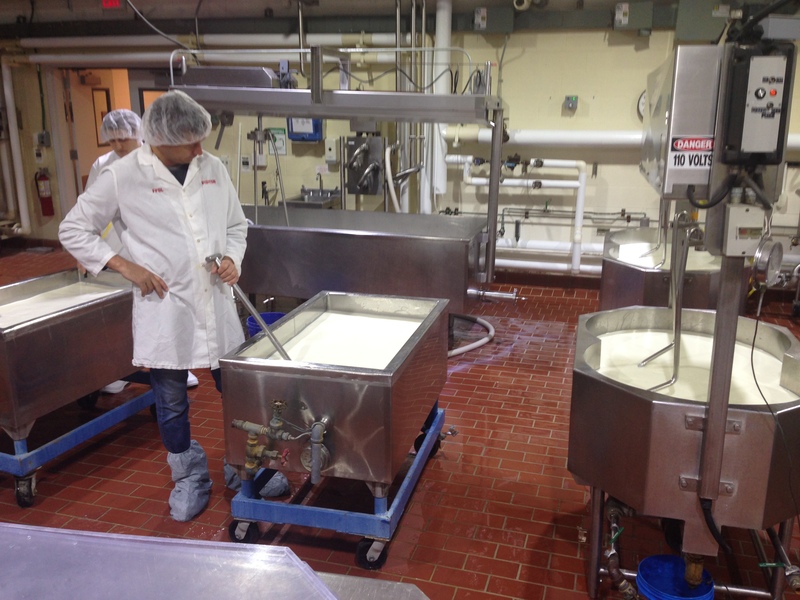 Over a long weekend, the Murray’s team made its way up to Cornell to start making cheese. The only problem? Gabietou (version 1.0, as our Cavemaster still wants to make one eventually) didn’t turn out so great. But, it gave birth to a new idea. During a re-examination of what the cheese would be, Steve expressed the desire to make a truckle sized cheddar – inspired by England’s Lincolnshire Poacher instead of the sweet New York cheddars that existed. In July of 2015, they tried again, heading back up to Cornell and making their very first batch of cheddar. It took some experimentation, and plenty of time, but finally, this lemony, bright cheddar tastes of sour cream and baked potato – and it’s perfect. 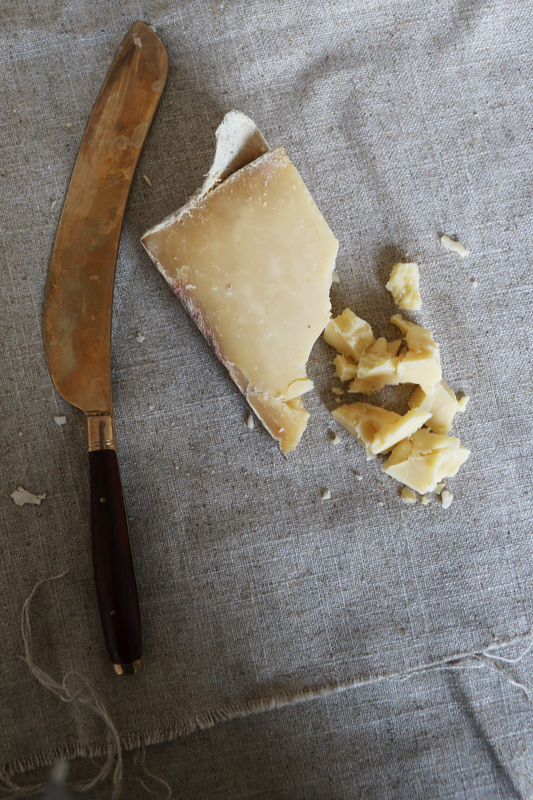 Our cheese was dubbed Ezra – the first name of the founder of Cornell, the birthplace of Murray’s first cheddar. But what was behind the magic of making this fine little cheddar? We sat down with PJ and Steve to learn a bit more about the inspiration behind Murray’s first cheese. After experimenting with the recipe, what was the goal for this cheese? Was there a certain flavor profile you were aiming for? What makes this cheese unique? What does it have that our customers will find appealing? With this successful project completed, what can we expect to come out of Murray’s caves in the future? “We are working on recreating Barden Blue and are very close to having a final recipe. This will be a raw milk, natural rind blue made by Consider Bardwell Farm and aged in our caves in Long Island City. The other big project we are working on is an ashed, domestic Camembert made by Jasper Hill and finished in our caves. This is awesome! Way to go on continuing to bring authentic cheese to the table. Previous PostPrevious Featuring Our French Faves for Cheese Week! Next PostNext How Does Your Cheese Melt?